Snapchat wants to become a publicly-traded tech company. Snap Inc., Snapchat's parent company, has confidentially filed paperwork for an IPO, according to a person close to the company. The news was first reported by Reuters. The IPO, which could come as early as March 2017, is reportedly estimated to come in at a valuation of $20 billion to $25 billion. This is significantly higher than the $3 billion buyout offer that Facebook put on the table in 2013. Morgan Stanley and Goldman Sachs Group will reportedly serve as lead underwriters. The Jumpstart Our Business Startups, or JOBS Act, allows companies with less than $1 billion of annual revenue to file for confidential IPOs. It was signed into law in April 2012. The company filed paperwork for the confidential IPO before the election, the source close to the company said. Related: Say hello to Snap Inc. In September, the 5-year-old company changed its official company name to Snap Inc.
"We need a name that goes beyond just one product," founder Evan Spiegel said in a blog post. 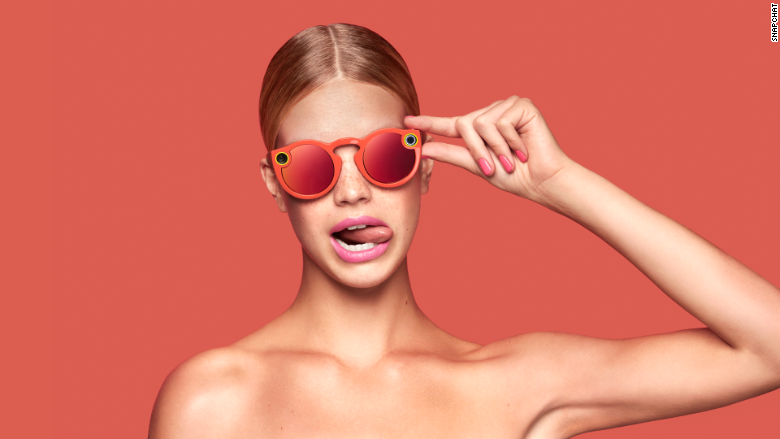 The company is currently marketing its first hardware product: Spectacles, sunglasses with a built-in wireless video camera that can record 30 seconds of video at a time. Venice, Calif.-based Snapchat raised more than $2 billion in funding and had been widely rumored to be preparing for a public offering. Snap Inc. declined to comment on the reports.